This morning, Tesla management hosted a conference call to discuss the rationale surrounding their offer to acquire SolarCity. During the call, Elon Musk stressed the importance of going ahead with this acquisition in order to consolidate all products under one company. He hinted that Tesla should have done the acquisition sooner, however, he elaborated that the company still has enough time to finalize the buy out and integrate solar services at the production, consumer, utility and commercial level. This will enable Tesla to accolade solar sales - while doubling the sales volume - with the release of the Model 3. Elon Musk sees Tesla becoming a potential major technology company as it can offer three compatible products (Solar - Battery Storage - Vehicle), thus making it easier for consumers to order these products without having to go through different companies, avoiding multiple installation and maintenance appointments and simplifying the sales process. This will bring 20 to 40 percent costs reduction for the company. I’m highly confident we’ll be the world’s best manufacturer by a margin, people don’t even think is possible. 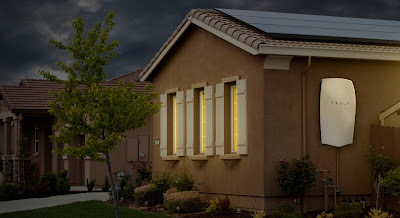 In addition, Elon strongly believes SolarCity's use of Silevo technology dramatically improves the efficiency and the aesthetics of the final product. Thanks to Silevo, SolarCity panels can generate an additional 30 percent more energy than any other panels on the market while reducing the costs. Today, SolarCity has not been differentiated on the product side. But it will be in the near future. If it’s done right, the roof of your house will look better with solar panels than without. This is a night and day difference. If you make the house look more beautiful you raise the value of the house. During the Q&A to investors, Elon clarified that SolarCity will have net cash flow in 4 to 6 months. The biggest assets Tesla is inquiring from SolarCity are the installers and the sales team, he said, promising transparency before the end of the acquisition process while recusing himself from shareholder vote, recommending others to vote in favor. Elon hinted at the advantage of offering battery storage and solar panels in states where they are not permitted to sell their vehicles. Making the gallery store concepts more efficient and profitable. We’ll still be prevented from putting a car transaction but there is no limit to having car galleries. There we can finish transactions for solar and batteries. On the production side, Elon believes the efficiency level will be much higher thanks to his vision of the machine maker where production output goes at a fast rate than traditional factories. He also pointed out that Tesla will not have a monopoly on third party compatibility with its system, however other manufacturers will have to guide their solar products to match those of Tesla. This according to him, will accelerate the development of efficient solar technology in the long term and transition the world into greener energy consumption and transportation.